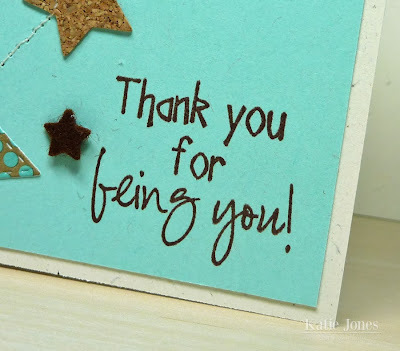 Here is the last of my thank you card series! Today's card was made using all My Creative Time stamps and dies. Here's a video showing how I made it. 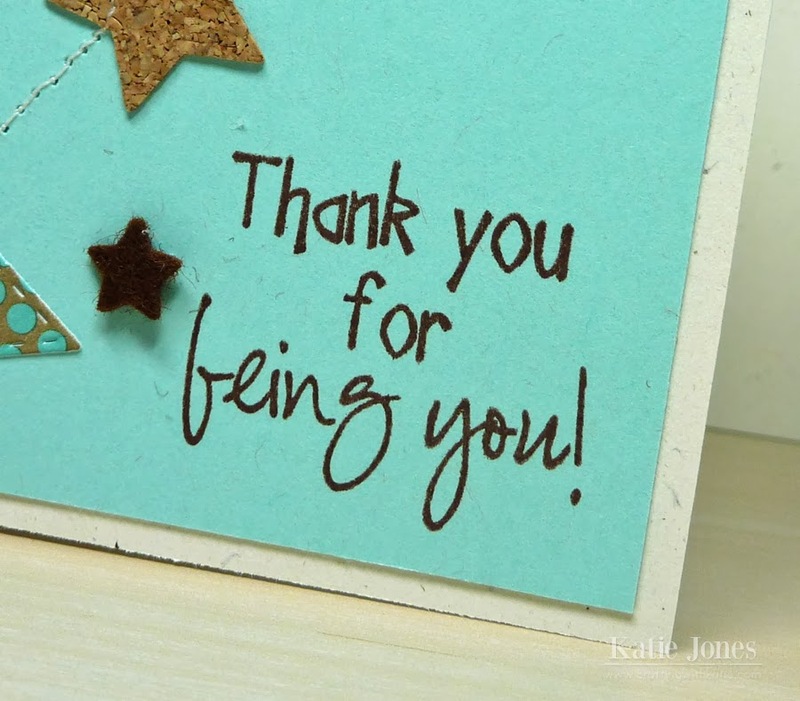 This cute sentiment is from the Thank You Hugs stamp set. There are quite a few MCT star dies! I used some from the 3 Star Stitched Dies, All Around Holidays, and 4x4 Journal Die + More here. Love it...especially the great colours and the stitching!! This is beautiful! 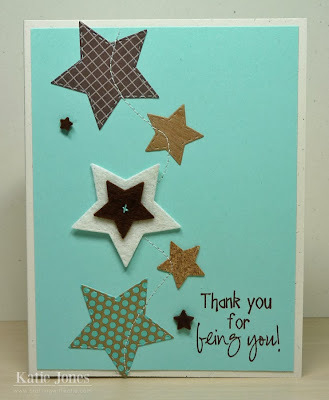 LOVE all the texture and your stitching is awesome! Awesome card! love the stitching and the texture! Great color combo! There are a lot of MCT stars. 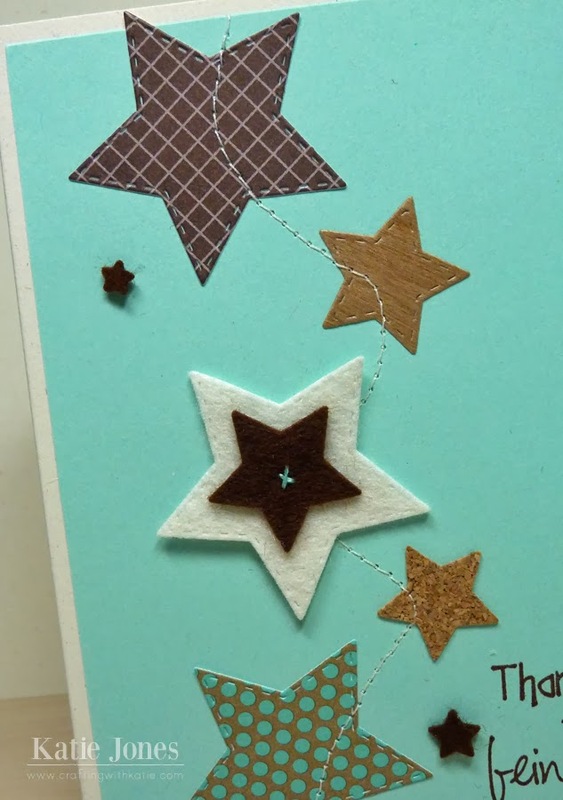 I like the colors and how you stitched them on your card. Nice job on your video Katie! Sorry about the burn but good tip on using hot glue. Your card turned out wonderful. Katie ~ I LOVE this card! The stars ~ especially in felt ~ look FABULOUS with the "real" stitching! I hope to see you sew on camera sometime ~ I so need to learn how to sew because when I see you and others do it I~ I LOVE it! Sorry about the burn too! OUCH! 2014 My Creative Time Design Team!